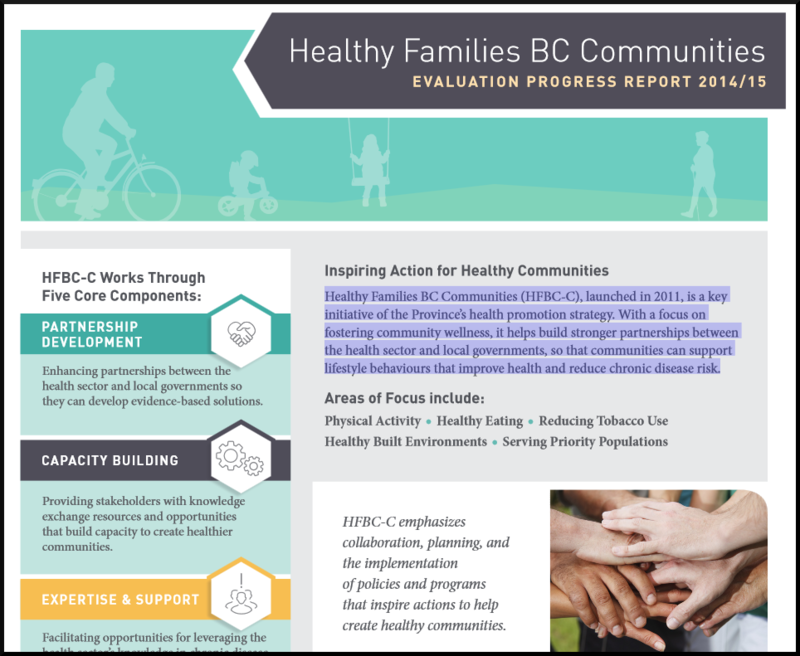 Healthy Families BC Communities (HFBC-C), launched in 2011, is a key initiative of the Province’s health promotion strategy. With a focus on fostering community wellness, it helps build stronger partnerships between the health sector and local governments, so that communities can support lifestyle behaviours that improve health and reduce chronic disease risk. To assess the implementation, effectiveness and efficiency of HFBC-C, the initiative is being evaluated in a three-year cycle. This report highlights the evaluation work done in the second year of the cycle between April 2014 and March 2015 and progress since the beginning of the initiative.